The fastest-installing GFCI ever now conducts an automatic test every three seconds, ensuring it's always ready to protect. If the device fails the test, the indicator light flashes to signal that the GFCI should be replaced. It also has our proven SafeLock™ Protection feature: if critical components are damaged and protection is lost, power to the receptacle is disconnected. For detailed PlugTail® information, visit our PlugTail Headquarters. 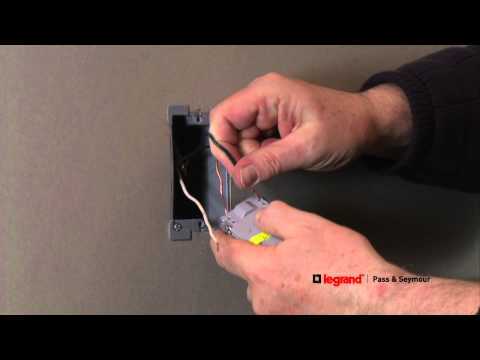 No exposed terminals create a finger-safe application before, during, and after installation. Built-in connector features large brass terminal blades to ensure consistent, reliable electrical connections to PlugTail® Connector. GFCI works with existing 3-wire PlugTail Connectors creating a non-feed-thru application for facility owners. Conducts an automatic test every three seconds, ensuring it's always ready to protect. If the device fails the test, the indicator light flashes to signal that the GFCI should be replaced. It also has our proven SafeLock protection feature: if critical components are damaged and protection is lost, power to the receptacle is disconnected. 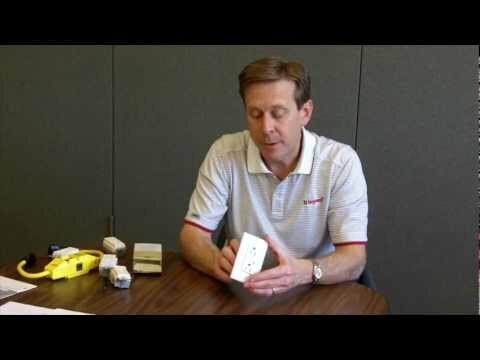 Thinner than competitors' GFCI Receptacles: leaves more room for wires in the box. Exceeds UL 943 voltage surge requirements; survives 100x the required UL 3kA/6kV voltage surge test cycles. FSUL Listed (Federal Specification WC596). Trip indicator light (red LED). Mounting screws are shipped captive in the device and wall plate for easier installation. Button colors match the device face. Dual-direction test and reset buttons. Supplied with matching TP wall plate.